Sonali Bendre is an Indian movie actress, author, model and television personality, who predominantly works in Bollywood film industry. She not only appears in Hindi movies she also featured in other languages like Tamil, Telugu, Marathi and Kannada films. 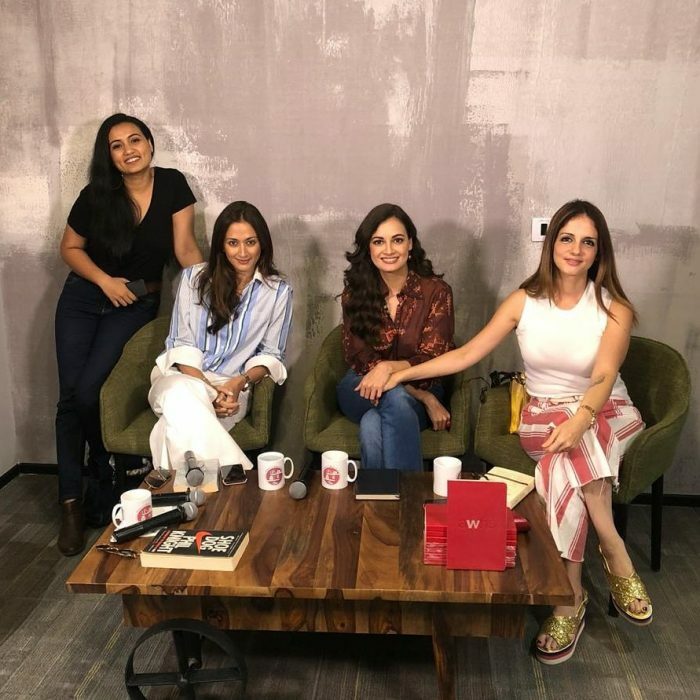 She made her debut movie Aag appeared as Parul in the year 1994 and for this movie, she grabbed the Filmfare Award for Lux New Face of the Year. 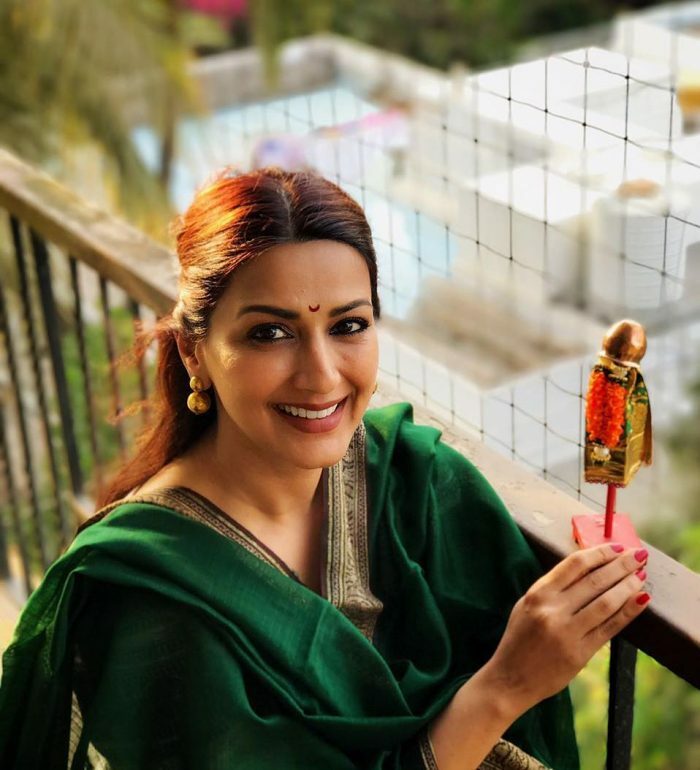 Check out below for Sonali Bendre Wiki, Biography, Age, Movies List, Family, Photos and more. Sonali Bendre was born on 1 January 1975 in Mumbai, Maharashtra, India. 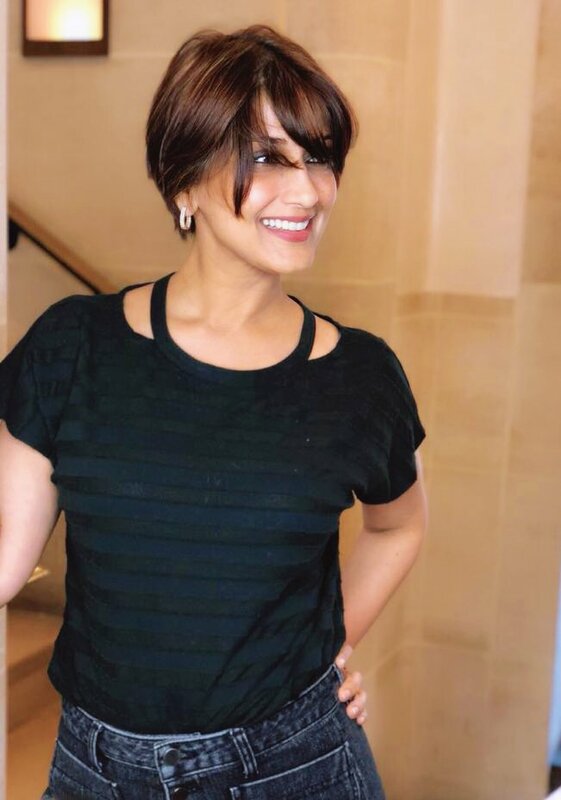 Sonali Bendre family is now residing in Mumbai, Maharashtra, India. 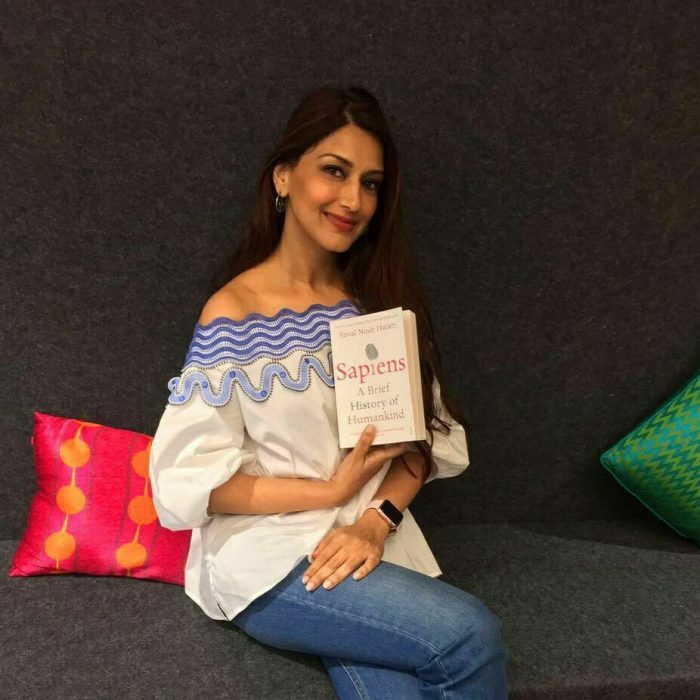 Her father name is Jit Bendre and her mother name is Roopsi Bendre. Then she has a sister named Gandhali Paranjape. She did her schooling in Kendriya Vidyalaya Malleswaram, Bangalore; Holy Cross Convent High School, Thane; Welham Girls School, Dehradun and she did her graduation in Ramnarain Ruia College, Mumbai. 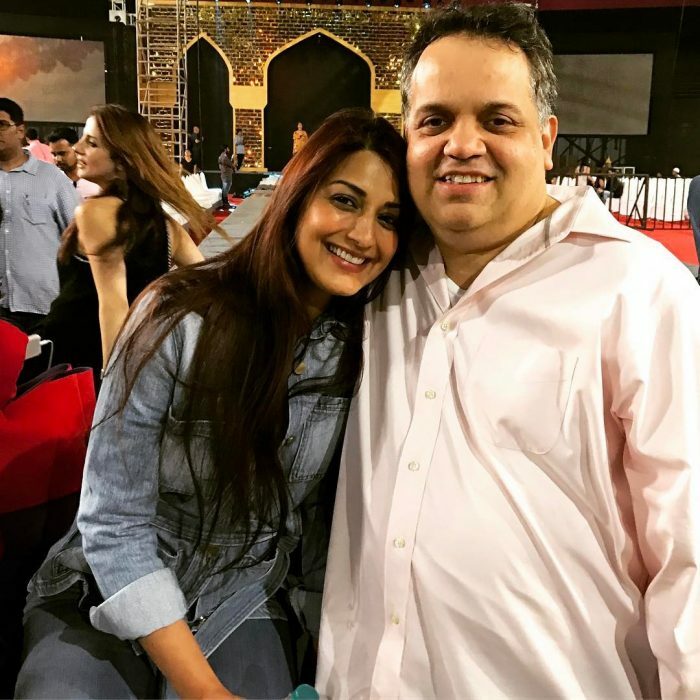 Sonali Bendre husband name is Goldie Behl who is a movie director, they both got married on 12 November 2002. Then this couple has a son named Ranveer who was born on 11 August 2005. On 4 July 2018, she makes an announcement on Twitter that she has been undergoing treatment in New York City hospital for cancer. 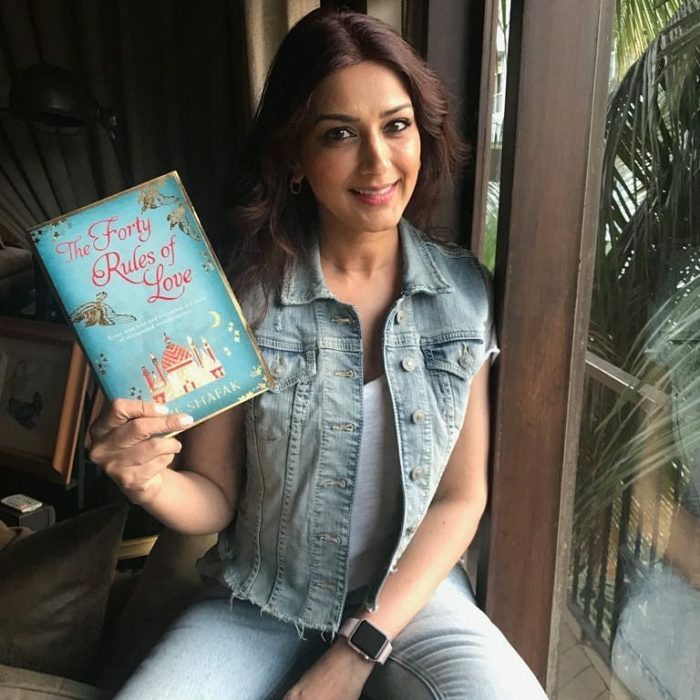 As an author, she wrote some books like “The Modern Gurukul: My Experiments with Parenting“, by this book she shares her three principles of parenting which is helpful to find a balance between traditional and modern values. She started her career as a model and then she gets selected for Star Dust Talent Search. Later she was invited to Mumbai and she trained by some of the famous actors and performers of the Indian film industry. Then she made her debut movie Aag in the year 1994 with actor Govinda, the movie has flopped but her performance was noticed and she won the Filmfare Award for Lux New Face of the Year and Star Screen Awards‘ Most Promising Newcomer. 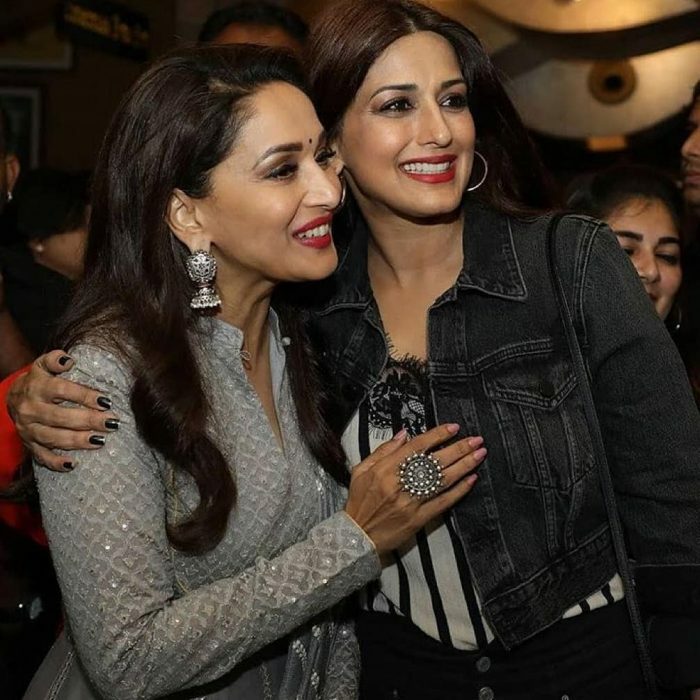 In her initial stage, she has struggled a lot to become a successful actress, then she eventually got a critical acclaim for her performances in the movies like Diljale in 1996, Bhai in 1997, Sarfarosh, Zakhm, Duplicate, Kadhalar Dhinam her debut Tamil Movie and more. She appeared with most of the top Bollywood actors like Shahrukh, Aamir, Salman, Saif, Akshay Kumar, Sunil Shetty and Ajay Devgn. She also featured in a Telugu movie with Chiranjeevi in the movies like Indra and Shankar Dada M.B.B.S. Apart from acting she was recognized as a quite graceful dancer through the movies like Gaddar, Sapoot, Bombay, Lajja and Major Saab. On November 1, 1996, she welcomed Michael Jackson by dancing the traditional Maharashtrian Nauvari sari and she performed Aarti for Jackson. As an actress she is also quite popular in the Television industry, she hosted a dance show on television named Kya Masti Kya Dhoom….!. Moreover, she also hosted the 50th Filmfare Awards with Saif Ali Khan and Farida Jalal on 26 February 2005. Then she featured as a judge for various television reality shows like Mr & Mrs Television, Indian Idol 4 India’s Got Talent and much more. Sonali featured in a lead role for a television serial Ajeeb Dastaan Hai Yeh as Shoba Sachdev in Star Life OK in October 2014.